Koh Phi Phi, Thailand (20 November 2018): Phi Phi Island Village Beach Resort, the upscale oasis on southern Thailand’s idyllic Phi Phi Island, is inviting couples to exchange their eternal vows in paradise with a series of spectacular outdoor wedding packages – including beachfront ceremonies suitable for LGBTQ partners – all overlooking the azure Andaman Sea. A choice of traditional Thai and Western wedding packages is available, either on the soft white sands of the resort’s private beach, amid the landscaped tropical gardens, or even floating serenely on the surface of the spectacular infinity pool. The resort’s Western-style ceremonies encapsulate the magic of a white wedding on the pure shores of Phi Phi Island. The “A Touch of the Sea” package allows couples to tie the knot on the powder soft beach, with a floral arch, guest seating, stylish decorations, a bouquet for the bride and other extras, plus an upgraded one-night stay at Phi Phi Island Village Beach Resort, a bottle of sparkling wine and breakfast the next morning. Alternatively, the “Lovers in Paradise” package includes a full beachfront wedding experience with petals down the aisle, plus a one-night stay in a Hillside Pool Villa, a candlelit dinner for two with a bottle of sparkling wine, an 85-minute couple’s Wana Spa Signature Massage, breakfast the next morning and more. For a truly enchanting ceremony, the “Pool Serenity Memories of Love” package allows couples to exchange their vows on an elegant platform floating on top of the glistening infinity pool. 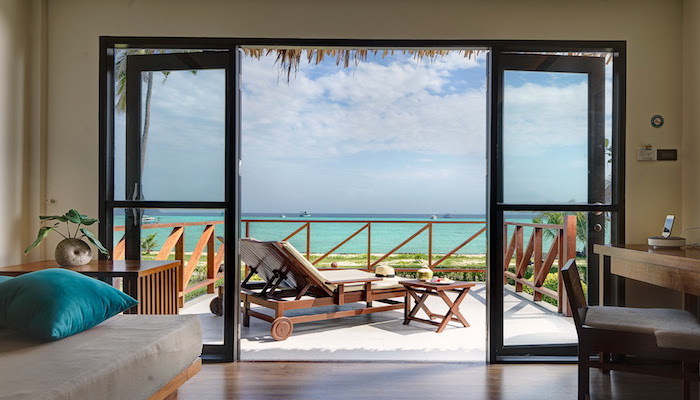 Newly-weds will also enjoy a one-night stay in a Hillside Pool Villa including breakfast, a candlelit dinner for two with a bottle of sparkling wine, an 85-minute Wana Spa Signature Massage for the bride and groom, a wedding cake and other inclusions. All the Western wedding ceremonies at Phi Phi Island Village Beach Resort are non-religious and couples will be able to plant a “love tree” as an expression of their life-long commitment. This makes these packages perfect for all couples, including LGBTQ partners. A wedding blessing certificate will also be presented to the bride and groom. Couples seeking a traditional Thai wedding ceremony can select an authentic beachfront wedding package that features an array of classical elements, including wedding garlands, long drum processions, Buddhist prayers, holy string and jasmine water sprinkling. 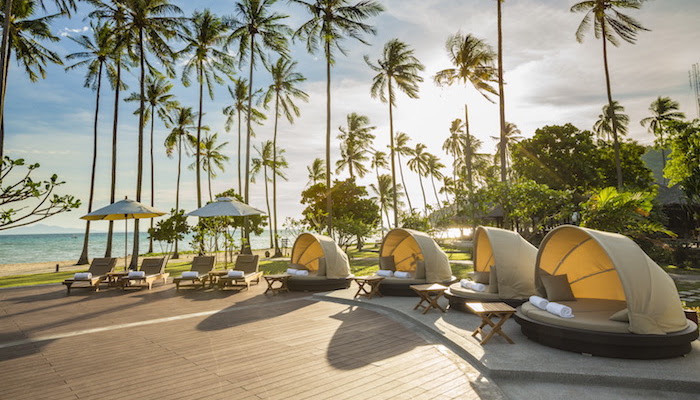 Newly-weds will also enjoy an upgraded stay at Phi Phi Island Village Beach Resort, including a bottle of sparkling wine in the room on the wedding night, breakfast in bed the next morning, a “love tree” planting ceremony and much more. The Western and Thai wedding packages start from just THB 75,000++ and a wide range of optional extras are available from the resort’s professional partners, including hair-styling, photography, videographers, flowers, beachfront dinners and a choice of entertainment, from traditional Thai dancing to live bands, DJs and fire shows. Whatever type of ceremony couples are seeking, Phi Phi Island Village Beach Resort is an idyllic tropical destination that can turn dreams into reality and make memories that last a lifetime. For more information about weddings at Phi Phi Island Village Beach Resort, please email sales@phiphiislandvillage.comor visit www.phiphiislandvillage.com.